We offer a range of underfloor heating pipe repair fittings the same fitting can also be used for joining two underfloor heating pipes together when pipework needs extending. The underfloor pipe repair kit are available various pipe sizes for repairing leaking, damaged underfloor pipe work such as being sawn through, nailed or screwed through whilst fitting flooring. If in doubt of what size your underfloor heating pipe is, most underfloor heating pipe has the manufactures name and pipe size marked every meter. Nickel Plated Brass Fitting 12mm with 1mm wall thickness Straight Repair Joiner - Straight Joint Coupling for Pex & Pert Underfloor Heating Pipes or for lengthening a pipe. The fitting comes complete with insert seals and crimping ring, this mechanical joint is professional, simple & easy way to make the pipe joint. Nickel Plated Brass Fitting 12mm with 2mm wall thickness Straight Repair Joiner - Straight Joint Coupling for Pex & Pert Underfloor Heating Pipes or for lengthening a pipe. The fitting comes complete with insert seals and crimping ring, this mechanical joint is professional, simple & easy way to make the pipe joint. Nickel Plated Brass Fitting 14mm with 2mm wall thickness Straight Repair Joiner - Straight Joint Coupling for Pex & Pert Underfloor Heating Pipes or for lengthening a pipe. The fitting comes complete with insert seals and crimping ring, this mechanical joint is professional, simple & easy way to make the pipe joint. 16mm Multilayer Pex-al or Pert-al Pipes with Aluminium barrier, Repair Coupler Joint or for lengthening a pipe. The fitting comes complete with insert seals and crimping ring, this mechanical joint is professional, simple & easy way to make the pipe joint. 16mm Nickel Plated Brass Fitting for Repairing damaged Pex, Pert & Polybutylene Underfloor Heating Pipes, this item is not for Pert Al or Pex Al we sell the correct fitting for Aluminium multilayer pipes. 15mm Nickel Plated Brass Fitting for Repairing damaged Pex, Pert & Polybutylene Underfloor Heating Pipes. 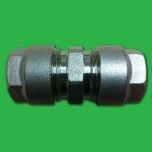 Nickel Plated Brass Fitting 17mm Repair Coupler Joint for Pex & Pert Underfloor Heating Pipes or for lengthening a pipe fitting come complete with insert seals and crimping ring, this mechanical joint is professional, simple & easy way to make the pipe joint. Nickel Plated Brass Fitting 18mm Straight Repair Joiner – Straight Joint Coupling for Pex, Pert and Polybutylene Underfloor Heating Pipes (with a wall thickness of 2.0mm) or for lengthening a pipe. The fitting comes complete with insert seals and crimping ring, this mechanical joint is professional, simple & easy way to make the pipe joint. Nickel Plated Brass Fitting 18mm Straight Repair Joiner – Straight Joint Coupling for Pex, Pert and Polybutylene Underfloor Heating Pipes (with a wall thickness of 2.5mm) or for lengthening a pipe. The fitting comes complete with insert seals and crimping ring, this mechanical joint is professional, simple & easy way to make the pipe joint. 20mm Nickel Plated Brass Fitting for Repairing damaged Pex, Pert & Polybutylene Underfloor Heating Pipes.